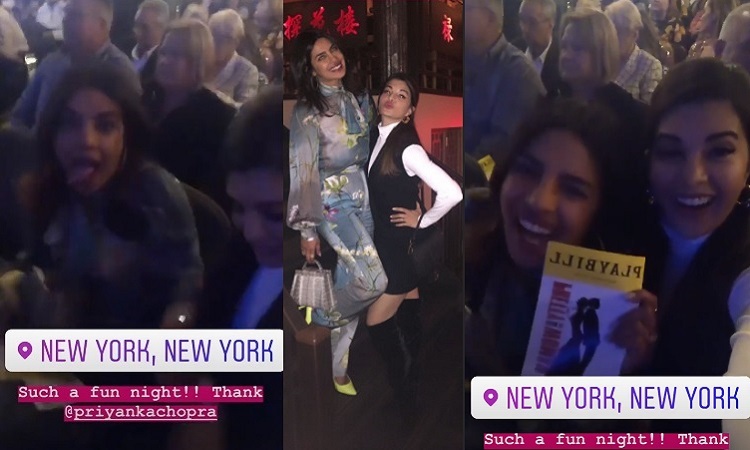 Priyanka Chopra who is a successful Global icon now is currently in New York fulfilling her work and personal commitments. The actress just yesterday bumped into her friend from Bollywood Jacqueline Fernandez and the union was all love and fun. 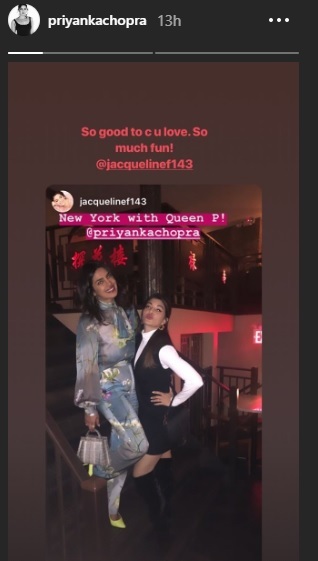 Jacqueline posted few glimpse from her meet in Instagram stories and we are convinced that the two had a ball together in New York. She shared one picture where she can be seen posing with PC and captioned the photo, "New York with Queen P!" 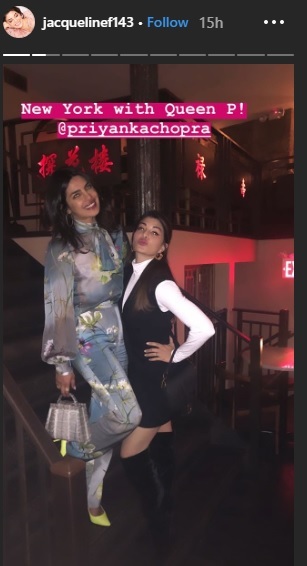 Jacqueline and Priyanka met at a Broadway show where Pee Cee looked like a million bucks in her quirky floral outfit. This time around to yet again rule on the streets of NYC, Priyanka wore a blue and neon yellow coloured floral Bulmarine blouse and the same set of pants. 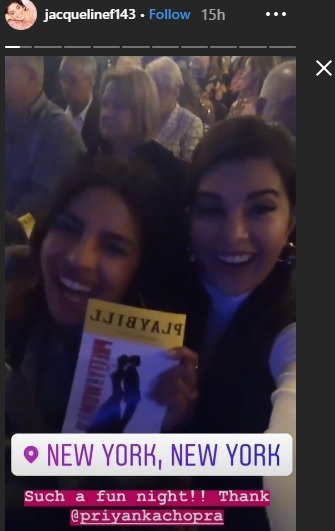 In another story, Jacqueline can be seen having immense fun with Priyanka Chopra at a Broadway show and she captioned the video, "Such a fun night". Replying to Jacqueline Fernandez's picture, Priyanka showered her with tons of love and said, "So good to c u love. So much fun!" Meanwhile, in an earlier interview, Jacqueline expressed how Priyanka Chopra was an inspiration to her and revealed a career advice PC had given to the actress. Jacqueline recalled, "Priyanka is so busy, and she told me, it is all in your mind. If you really want to do something and have a positive attitude about it, you will have the energy to do it". Salman Khan's new rugged look from Bharat will STEAL YOUR BREATH AWAY! Big Synergy TEAMS UP with 'Mirzapur' and 'Fukrey' makers!